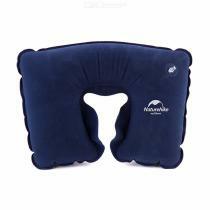 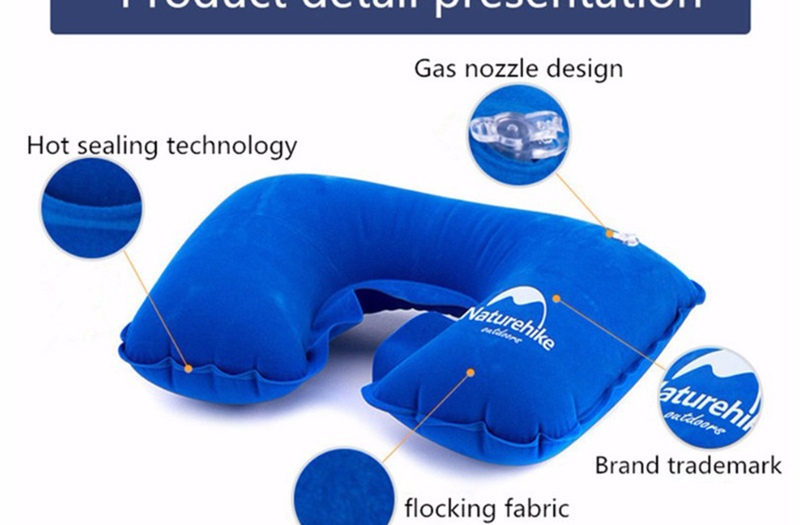 The travel inflatable pillow is designed with a U-shaped curve that fits the cervical vertebra. 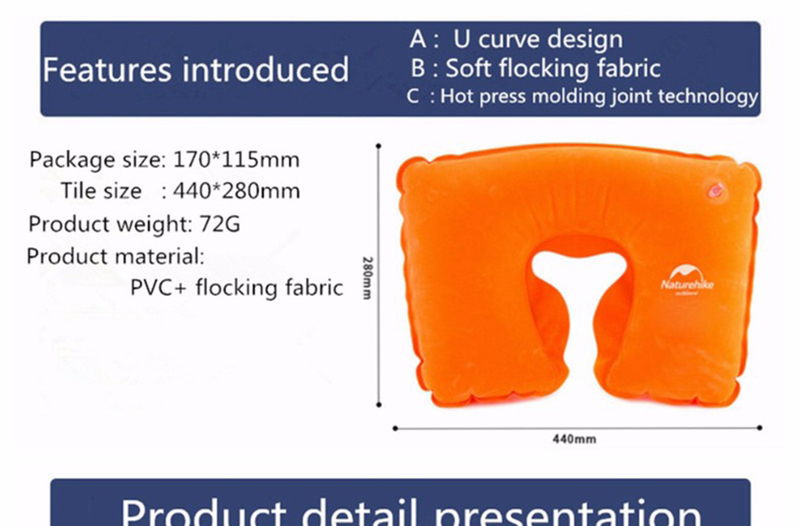 The soft and comfortable flocking fabric uses intimate, leak-proof high-frequency hot-press forming joint technology. 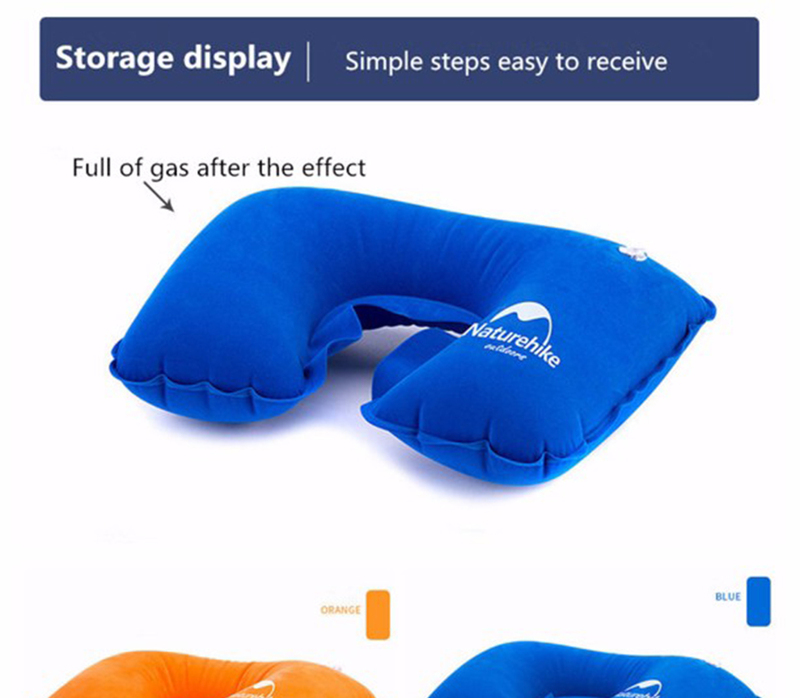 Summer home bolsters can be used for outdoor camping.